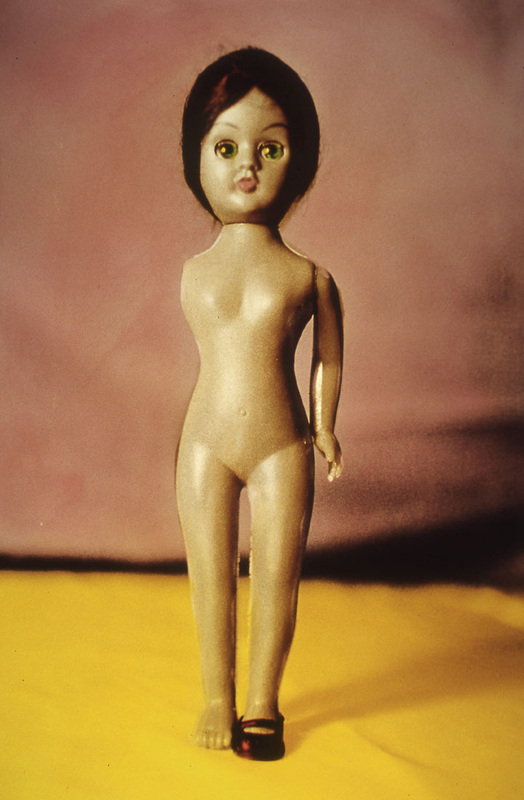 A collection of photographs created in response to the barrage of seductive and perverse images of women and girls, that are carefully designed to provoke and taunt and undermine a girl's always-precarious sense of confidence. 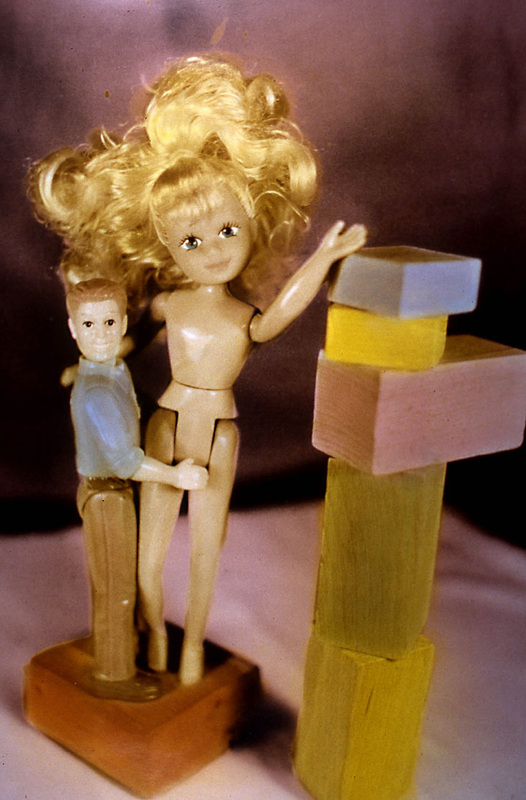 These kinds of images clutter our brains and dumb down our society. 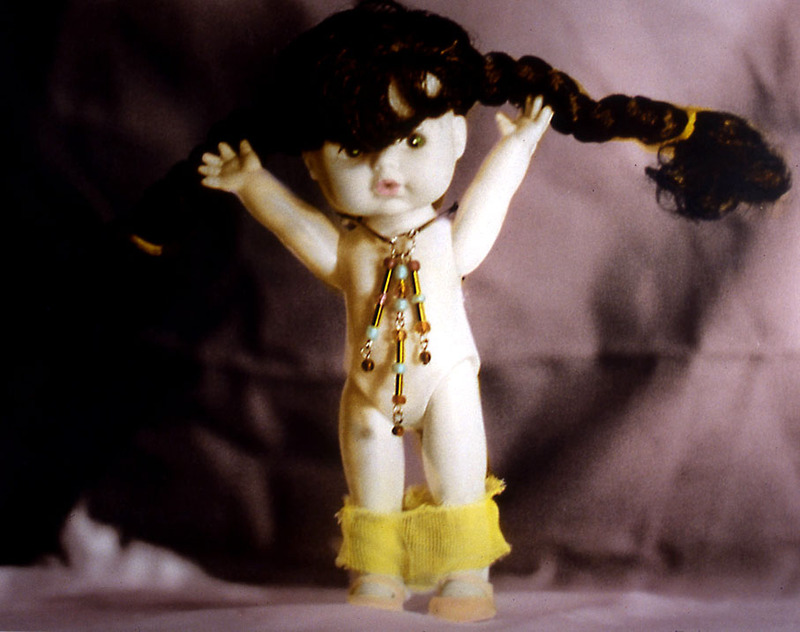 My photographs were created in the studio, using dolls purchased from the Salvation Army. Negatives were printed in the traditional darkroom on silver gelatin paper. 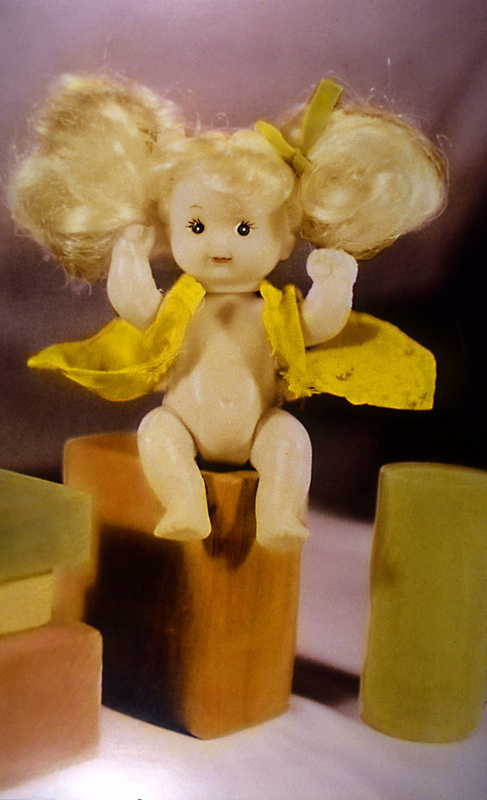 Prints were then split-toned with copper and sepia chemical toners. Finally, the wet, toned prints were selectively hand-painted with liquid watercolors. 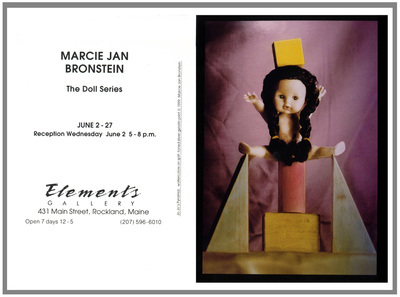 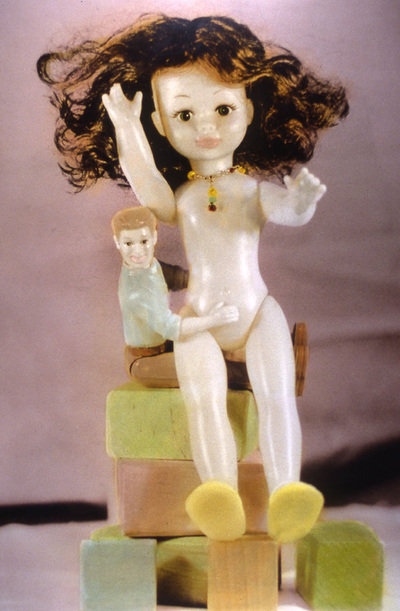 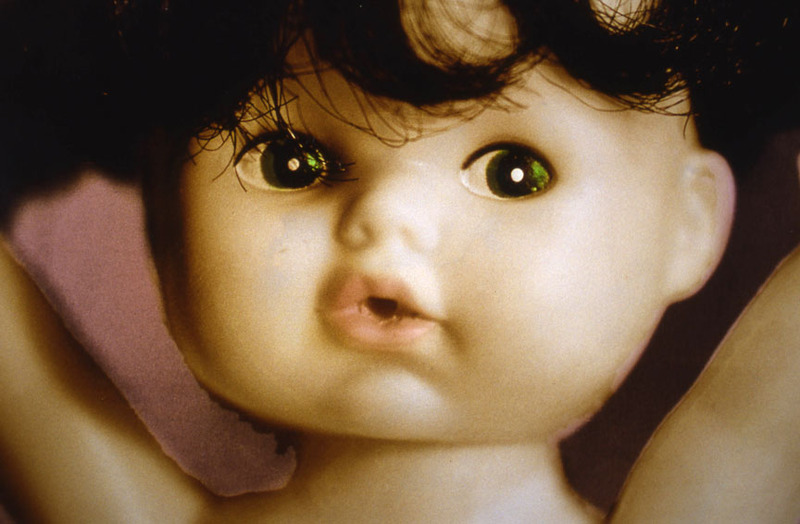 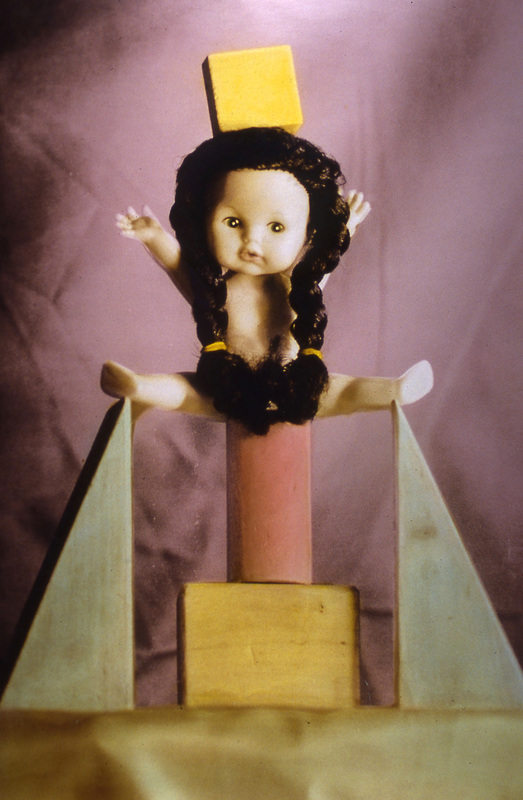 The Doll Series was exhibited at the Elements Gallery in Rockland, Maine in June of 1999.